Few pens have been so prolific as that of J. N. Darby. He wrote on a vast array of biblical subjects with keen insight, spiritual depth and, above all, uncompromising concern for the glory of our Lord Jesus Christ. The seven volume set to which this book belongs provides the reader with the personal study notes of this devoted servant of Christ. 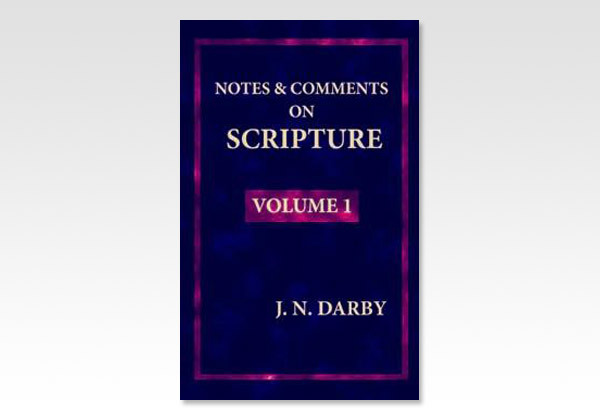 It was Mr. Darby's habit to jot down, in notebooks, thoughts on Scripture and scriptural subjects as they occurred to him, not in any regular order. These writings were not revised by the author with a view to publication. They were made solely for his own use and are now put forth with the earnest hope that the Lord's people may derive much blessing and instruction from their diligent perusal.